I think I like green flowers on cakes. They have a fresh look about them. The month I did this cake everyone wanted dots, I could have done them in my sleep. It seemed to be the only design they liked, only the flowers changed and maybe the shape of the cake. 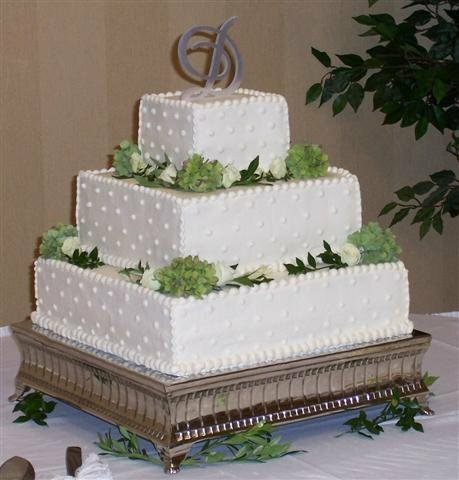 A single monogram D tops the cake.